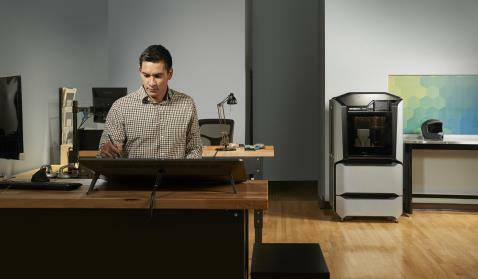 The Stratasys F123 3D Printer Series demands less knowledge and experience, while meeting even the most advanced rapid prototyping expectations and needs. This Series, comprised of the F170, F270, and F370, excels at all stages of the design prototyping process, from draft-concept iterations – to complex design verification – to high-quality functional prototypes. Enhanced 3D printing capabilities include – a new user interface, remote print monitoring, built-in camera, auto calibration, an improved software experience with GrabCAD Print, easy material change out and auto material changeover – help make the Stratasys F123 3D Printer Series one of the most simple to use, yet powerful 3D printing platforms for demanding business environments. Fill out the form to down the F123 Series "Smarter Prototyping" white paper. AdvancedTek © 2017. All rights reserved.